PRESIDENT —Jerry Beck is a well-known animation historian and cartoon producer. His twelve books on the subject include The Animated Movie Guide, Looney Tunes: The Ultimate Visual Guide and The 50 Greatest Cartoons. He is a former studio exec with Nickelodeon and Disney, and is currently a consulting producer to Warner Bros., Universal and Disney for their classic animation DVD compilations. Beck has programmed retrospectives for the Annecy and Ottawa Animation Festivals, The Museum of Modern Art and the Academy of Motion Picture Arts & Sciences. He is currently teaching animation history at Cal Arts in Valencia and at Woodbury University in Burbank. He is also the editor of two animation blogs Cartoon Research and Animation Scoop. VICE PRESIDENT — David Derks joined ASIFA-Hollywood in 2003 due to his love for animation. After seeing opportunities within the organization he volunteered wherever he could and due to his efforts, he was elected in as a member of the board and was presented with a Certificate of Merit. Currently, David is a digital producer at Twentieth Television, as well as digital producer for EuroPacific Films. He is also currently the president of the La Mirada Symphony. He was previously at ABC Studios and was involved with shows like Desperate Housewives, LOST, Alias, Grey’s Anatomy, According to Jim and Jimmy Kimmel Live, as well as television miniseries like Muppets’ Wizard of Oz and Stephen King’s Kingdom Hospital. Additionally, David is also producing animation for an independent film that’s currently in post production. SECOND VICE PRESIDENT — Sue Shakespeare is a veteran animation producer and runs the show at Creative Capers Entertainment, one of the most successful independent animation studios in Hollywood today, which she founded in 1988. Through Creative Capers, Sue has been at the forefront of the animation world, managing animation and design projects ranging from feature films to television shows, from interactive experiences to videogames. With over three decades experience and a myriad of projects under her belt for Disney, Sony, Warner Brothers, Universal, MGA, Fox, Lego and many others – Sue is one of the most respected producers in the family entertainment industry today. Sue has worked with many of animation’s beloved and famous character franchises including: The Lion King, 101 Dalmatians, The Incredibles, Winnie the Pooh, Ice Age, Alvin and the Chipmunks, Mr. Magoo, The Bionicle Trilogy, Beauty And The Beast, The Pink Panther, The Little Mermaid, and Aladdin to name a few. Sue has also had a successful career as a writer, and in developing original Intellectual Properties which are then turned into movies and television series. Sue began her career at the Don Bluth Studio where she worked on classics like: The Secret of NIMH, An American Tail, The Land Before Time, and Dragon’s Lair. She was one of the founding board members of the Academy of Interactive Arts and Sciences (AIAS), and has been a member of the Academy of Motion Picture Arts and Sciences (AMPAS) for more than 20 years. THIRD VICE PRESIDENT — Brooke Keesling is the Director of Communications and Culture at The Animation Guild. A native of Los Angeles, she has worked in the animation and VFX industry for decades as an artist, in production, in education, and in talent development. Prior to joining The Animation Guild, Brooke was Director of Animation Talent Development at Disney Television Animation, and before that she was the Manager of Animation Talent Development at Cartoon Network Studios. Brooke earned her MFA in animation at CalArts where she produced several films including the student Oscar winning animated short, Boobie Girl, and her stop-motion film Meatclown was an early online cult-classic on Atomfilms.com. Upon graduation from CalArts, Brooke worked in practical and miniature visual effects on films such as Inception, Hugo, The Dark Knight and The Aviator. Passionate about education and outreach, Keesling is also an instructor in the Character Animation department at CalArts and she serves on the Board of Directors for ASIFA-Hollywood and the GLAS Animation Festival. CHIEF FINANCIAL OFFICER — Jeff Wike is Senior Vice President and Chief Technology Officer for DreamWorks in charge of all aspects of software, hardware and technology strategy and innovation in support of animated film and television production. Jeff joined DreamWorks in 1996 and has been credited on over 30 animated feature films. Prior to DreamWorks, he had an extensive career developing software for the department of defense, NASA’s Jet Propulsion Laboratory and leading R&D projects in the area of 2D and 3D image processing, robotics and artificial intelligence. Jeff received his Bachelor of Science in Engineering from the U.S. Military Academy at West Point and his Masters in Computer Engineering from the University of Southern California. He is an active member of the VES, serves on the Department of Energy Exascale Compute Industry Advisory Board, the HPE Global Board of Advisors and has served on the board of ASIFA-Hollywood since 2006. SECRETARY — William C. Turner joined ASIFA-Hollywood as a student and a fan in 1978. Almost immediately he began volunteering, helping at Annie Awards, cel sales and anywhere he was needed. In the early 1990’s Bill was asked to join the Board of Directors as Secretary and to take control of the memberships. 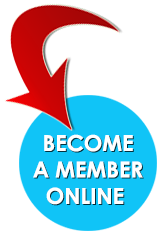 Since that time membership has grown from about 800 to over 4500. Bill used the networking opportunities of ASIFA-Hollywood to land a job in animation in 1993, first as a runner, but soon moving into production as a coordinator, technical director and production manager. He has been happily and steadily employed by Walt Disney Television Animation since 1998. Jamie K. Bolio’s industry work continues with extensive travel and projects of merit and unique appeal. Jamie’s artistic credits include animated feature, short, and television, mixed-media special project and commercial – and documentary feature and short. With a passion for the craft, deep-roots in the industry, and a trusted aesthetic for film, Jamie is often tasked in an international search for independent, high-quality, artistically-driven content. She founded 62 GEORGE STREET, which specializes in the global representation and promotion of the independent film, filmmaker, studio and creative. Since 2009, Jamie has worked with the NY-based distribution company GKIDS on their awards and promotional campaigns for the Oscar®-nominated animated features: THE SECRET OF KELLS, A CAT IN PARIS, CHICO & RITA, ERNEST & CELESTINE, THE TALE OF THE PRINCESS KAGUYA, SONG OF THE SEA, WHEN MARNIE WAS THERE, and BOY AND THE WORLD. Jamie represents the Oscar®-nominated Irish studio, Cartoon Saloon for Business Development, PR & Marketing – and during the awards and promotional season, she represents the qualifying short films of the National Film Board of Canada. Jamie has also been named Director of Marketing and Content Acquisition for CRAFT, a curated digital library and subscription-based platform showcasing resource files, pre-production and production art from a growing selection of the industry’s most revered independent animated films, games, graphic novels and artists. Jamie and her co-production partners, Paper Panther Productions, will soon begin development on their upcoming feature documentary. Jeanette Bonds is Co-Founder and Director of GLAS Animation, a non-profit organization whose mission is to cultivate and promote a community of independent animation in the United States. She received her BFA and her MFA at CalArts in Experimental Animation. Jeanette is a part of the international animation collective LNWC and currently programs at Slamdance Film Festival, FMX, and contributes to Short of the Week. In the past she co-curated Platform International Animation Festival, worked with Los Angeles Film Festival. She has served on the jury for Animafest Zagreb, Fantoche, and Dallas International Film Festival as well as having given talks at Animafest Zagreb, New Chitose Airport Animation Festival, CalArts, USC, RISD, and FMX. Her works have been featured at both live-action and animation festivals around the world and in 2014 was nominated for an Annie Award. She continues to create works from across the spectrum, including narrative films, abstract films, and installations. Tom Caulfield brings with him many years of experience. Originally from Dublin, Ireland, he has worked on three different continents and learned all facets of the animation industry in many different roles, such as Lead Animator, Character Designer and Director at studios like Disney, Disney Australia, Reel FX and DreamWorks. He is currently a director for Disney TV. He fully embraces the independent film making side of the industry. Recently, his animated independent short film that he took from conception to completion won best first short at the Galway Film Fleadh. Since leaving College he’s been fortunate enough to work on the Oscar-nominated L’Illusionniste and The Secret of Kells, as well as Zarafa, Mickey, Donald and Goofy The Three Musketeers and The Book Of Life. Dori Littell-Herrick spent 28 years in the animation industry as an artist, production supervisor, assistant director and creative executive. As an animation artist, her credits include Ferngully the Last Rainforest (Kroyer Films), National Lampoon Christmas Vacation title animation (Kroyer Films), The Little Mermaid (Disney Studios) and various commercials including Trix Rabbit, Keebler Elves, Tony the Tiger, Dig’m the Frog, Raid Bugs and Snap, Crackle and Pop. As a production supervisor, Dori worked on Osmosis Jones and Quest for Camelot (WB); and Beavis and Butthead and Ren and Stimpy (Metrolight Studios). She continued to work as an assistant director on animated commercials featuring Disney classic characters including Winnie the Pooh and the Seven Dwarves (Simex Studios, Pepper Films). As a producer in development at Warner Bros Feature Animation, Dori managed the creative development of feature films and short projects. Dori returned to UCLA Animation Workshop to earn her Masters of Fine Arts in 2004. She joined the faculty at Woodbury University in 2005 as Chair of Animation. She taught the team-based animation production class, Junior Studio, as well as Animation Principles. Dori retired in 2017 after twelve years at Woodbury and continues teaches part time. Dori joined the ASIFA-Hollywood Board in 2011 and serves on the Finance Committee. She is also a founding member of the ASIFA-Hollywood Animation Educators Forum, and chairs the Scholarship Committee which distributes scholarships to animation students around the world. Dori is committed to sharing the art and craft of animation with the next generation. Attorney B. Paul Husband joined ASIFA-Hollywood as an animation fan in 1990. He participated in presenting programs at ASIFA-Hollywood meetings and functions such as the Animation Opportunities Expo and in the ASIFA-Hollywood portions of the World Animation Celebrations. Inspired in his participation in the world of animation by his association with ASIFA-Hollywood, in 1995 he co-founded AniManagement LLC, a talent agency devoted to serving artists and writers involved in animation. He worked in the animation field as a licensed talent agent until 2000. He continues to represent producers, directors, artists and writers as an entertainment lawyer. He has also been involved with the Annie Awards in multiple functions, including as a judge in several categories over the years. In the early 1990s he began attending to the legal needs of ASIFA-Hollywood as a volunteer. In 1997, he formed ASIFA-Hollywood’s sister organization, the ASIFA-Hollywood Animation Aid Foundation. He also served as a Director of ASIFA-Hollywood from 1995 until 2000. In 1998, Mr. Husband was honored by receiving the ASIFA-Hollywood Certificate of Merit. Paul has served ASIFA-Hollywood as General Counsel since 2000. Jennifer Cardon Klein is a producer and animator and has worked extensively in feature animation, storyboarding and animating for studios like Disney and Warner Bros. She is known for her work on The Iron Giant, The Emperor’s New Groove and Space Jam. Some of her other films include Home on the Range, The Road to El Dorado, Candyman, One by One, Pups of Liberty, Boys Night Out and The Chestnut Tree. Jennifer also appears in the television short The Making of ‘The Iron Giant’. Bob Kurtz, Peabody Award winning animation writer, director, designer and founder of Kurtz & Friends Animation has created/produced animated theatrical titles for most major studios including the Walt Disney Company, Universal Studios, MGM, Sony Entertainment, Columbia Tri-Star Picture Group and Warner Brothers. Some of the titles include The Pink Panther, Honeymoon in Vegas, Are We Done Yet, Four Rooms, Honey I Blew Up the Kid, George of the Jungle, and City Slickers I and II. Bob directed, produced, wrote the three screen/3D Stereoscopic multimedia experience for David Macaulay’s The Way Things Work. Kurtz & Friends also created animated sequences for Jurassic Park, Minority Report, Carlin On Campus and the prime-time Emmy Award winning special, Roman City. His award winning Edith Ann Christmas Special aired on network prime-time. Bob Kurtz was a recipient of the AFI Grant as well as the Endowment for Humanities Grant. He is a former Governor of the Academy of Motion Pictures Arts and Sciences and Governor of the Television Academy of Arts & Sciences. Bob was also a recipient of the ASIFA-Hollywood Annie Lifetime Achievement Award and Artist of the Year in Japan. Tom Sito joined ASIFA East in 1974, and moved over to ASIFA-Hollywood in 1982. Tom has been an animator at most of the major studios, and his credits include classics like Who Framed Roger Rabbit?, The Little Mermaid, Beauty and the Beast, Aladdin, The Lion King, Shrek and many more. Tom co-directed Osmosis Jones, he is president-emeritus of The Animation Guild Local 839. He teaches animation at USC, and as such he is a sought-after lecturer around the world. He is the author of two books: Drawing the Line: The Untold Story of the Animation Unions From Bosko to Bart Simpson and the animation chapter to the anthology Jews in Popular American Culture. Tom became a member of the ASIFA-Hollwood board of directors in 1989, and was elected it’s vice president in 1992. He began by creating the ASIFA Evenings With series, where he interviewed past masters like Joe Grant. Dave Tendlar, Bill Melendez, and Maurice Noble. In 1990 he headed the creation of a 100th Birthday Banquet for Betty Boop creator Grim Natwick. This became a gathering of the legendary animation artists from Hollywood’s Golden Era. Tom Sito also started the Afternoon of Remembrance for the community to say goodbye to their departed colleagues, which has become an annual ToonTown tradition. He is a member of the SIGGRAPH Historical Committee, WIA, The National Cartoonist Society, and a founding member of ASIFA-Hollywood’s Animation Educators Forum. In 2010 Tom was awarded the June Foray Award for a lifetime of service to the animation community. Charles Solomon has written on animation for the New York Times, TV Guide, Rolling Stone, Film Comment, the Hollywood Reporter, the Manchester Guardian, Amazon.com, and he’s a frequent quest on National Public Radio’s Day To Day. Solomon has written several fine animation books, including Enchanted Drawings: The History of Animation (1989, reprinted in 1994), The Disney That Never Was (1995), The Prince of Egypt: A New Vision in Animation (1999), and Disney Lost and Found (2008). Enchanted Drawings was a New York Times Notable Book of the Year and the first film book to be nominated for a National Book Critics Circle Award. Solomon has also done animation programming for the Academy of Motion Pictures Arts and Sciences, the 1984 Olympic Arts Festival, the Los Angeles County Museum of Art, and the Annecy, Ottawa and Sundance international film festivals, as well as lectured on animation history and aesthetics at UCLA, USC, CalArts, NYU, the School of Visual Arts, CSU San Bernadino, the California Academy of Science, The Walt Disney Studios (Los Angeles, Orlando and Paris), PIXAR, Turner Animation and DreamWorks Feature Animation and now an interview with Toon In to the World of Animation. Theresa Wiseman brings a lot of experience to the board, as she has worked within the field of traditional and digital 2D animation as an animator, directing animator, and as timing director. She has transitioned into animating digitally in CG (MAYA). She is also an active member of The Academy of Motion Picture Arts and Sciences (AMPAS), The British Academy of Film and Television Arts (BAFTA), The Visual Effects Society (VES), and The Animation Guild (TAG). Caricature of Theresa Wiseman by John Musker. Danny Young is a CG artist and animator working in film, television and commercial projects since 2008. He has had the pleasure of serving on the board of directors of ASIFA-Hollywood since 2009. During this time, he has been a key advocate for the inclusion of video game artists in the larger animation community. He is also the primary liaison between the board and the open source software community. 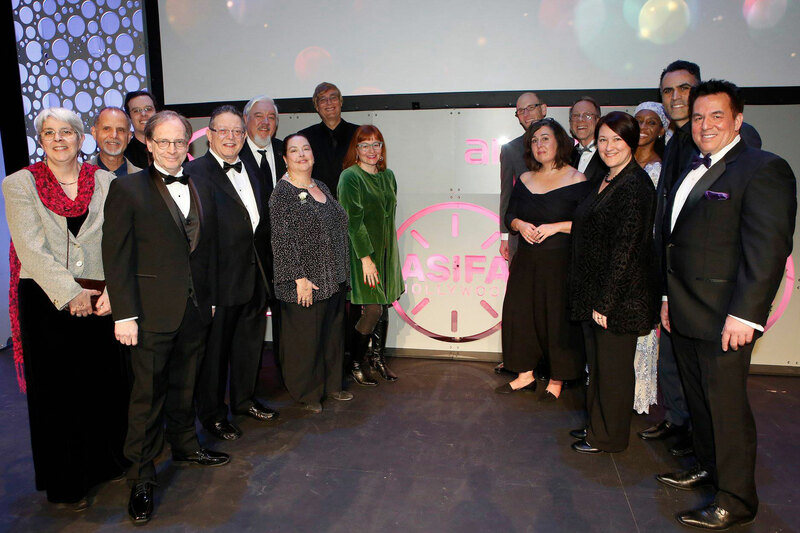 As a board member, he has always sought to represent the interests of artists and the animation community through the strength and goodwill of the organization, and to help preserve the integrity of ASIFA-Hollywood through honest volunteerism. He hopes to continue being an active participant in the animation community indefinitely.